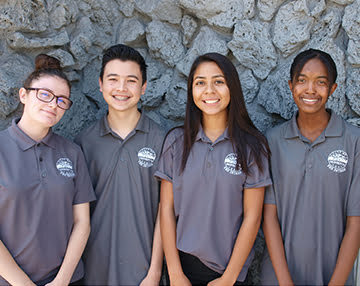 Working with the City of Monrovia, the Oak Crest Institute of Science has provided internships for students enrolled in the Youth Employment Service (YES) program. Established in 2013, the program has three main goals: 1. Ensure Monrovia’s continued success as a regional employment hub; 2. Provide on-the-job training and life skills to Monrovia youth; and 3. Establish a path toward a job and/or college and life readiness for local youth. In 2017, Oak Crest provided research opportunities to two YES interns and this year four internships were offered. The successful applicants underwent an intensive training program to take charge of a summer academy for local middle and high school students. 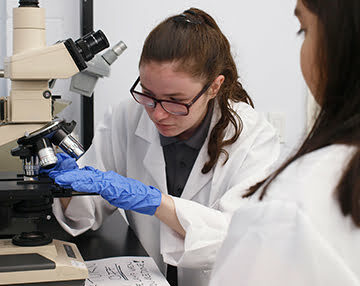 The YES interns are responsible for teaching basic biomedical laboratory skills to their students during the morning sessions of the Summer Academy. In addition to their regular duties, the YES interns attend weekly training sessions provided by the City of Monrovia. The sessions cover a range of topics, but include improving customer service skills, professional image, business and workplace etiquette, networking and teamwork, character in the workplace, preparing a resume, and public speaking. Among students who participated in the program, grade point averages increased by 14 percent, and absenteeism and tardiness decreased significantly. Program participants have gone on to college or landed jobs working for the city and in the community. 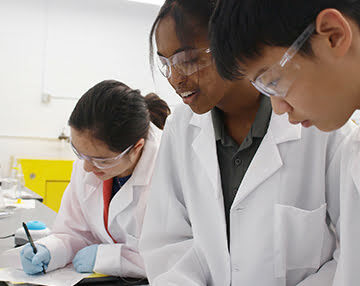 The Oak Crest Institute of Science is a proud member of the YES program. Our participation is part of our expanding program to provide local students opportunities in the biomedical and chemical sciences.